The V8 Bluetooth Headphone headset comes with its intuitive and fashionable design, advanced features, convenient inline controls, and long battery life, keeps you comfortable and connected wherever. The V8 Bluetooth Headphone headset comes with its intuitive and fashionable design, advanced features, convenient inline controls, and long battery life, keeps you comfortable and connected wherever. With enhanced bass response and features such as HD Voice and aptX, you’ll experience full, rich, authentic sound for your music and crystal-clear voice calls. Plus, with echo cancellation and noise reduction, whether you’re catching a taxi on a busy avenue, shopping in the mall, or enjoying time with your kids at the amusement park, you can take your calls knowing that the V8 earpiece will deliver your voice clearly. 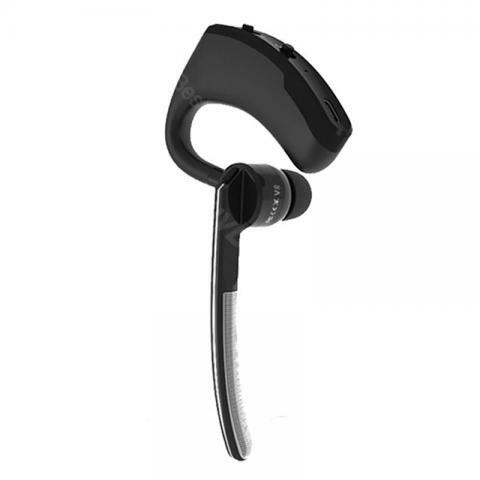 With the bluetooth headphone, you could listen to the music or call somebody conveniently. Also convenient to carry it. Can be connected with 2 phones at the same time. Provide you with high quality sound. • Support IPhone power display. 학원에서 사용하기엔 아주 적당한 제품입니다 가성비도 현재까지는 굿입니다.